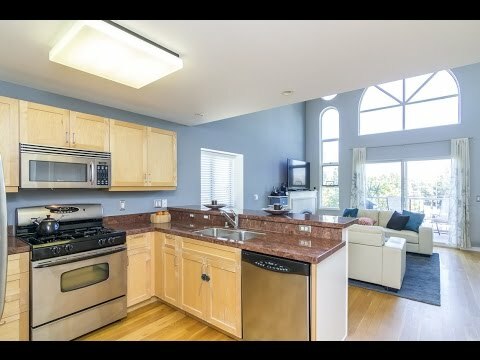 Built in 2005, 350 N 2nd #335 is a highly upgraded condo that features granite counter tops and top of the line appliances, a designer color scheme, and several large windows, spanning from floor to ceiling, allowing an abundance of natural light. The spacious 1,204 square foot floor plan, which includes a loft area, private bedroom, and a bonus area that can double as office or guest space. Enjoy entertaining on your own personal private balcony. This home is nestled in Downtown San Jose, just a short walk from San Pedro Square Market, SAP Center & the San Jose Convention Center. No need for a gym membership, enjoy the community pool and exercise facility this newly built complex has to offer. Commuting is a breeze with easy freeway access to Highway 87, 280, and 880. With tasteful elegance and beautiful touches this condo has it all.